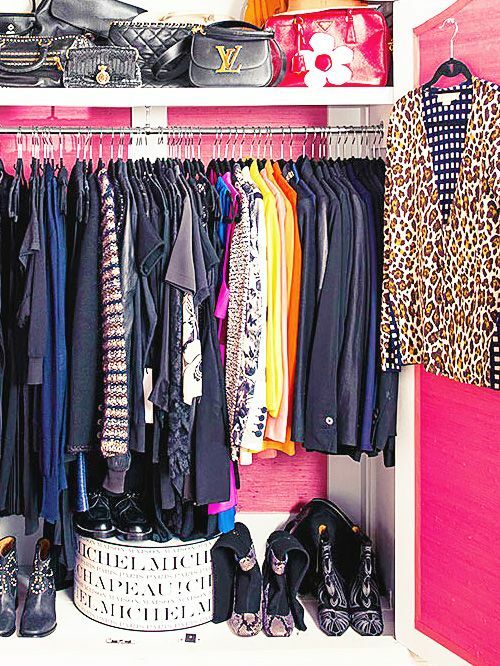 For fashion-loving gals, a small closet can be a nightmare. Unfortunately, many rental buildings come with minuscule closets. It’s a crime, but there are ways to make the best of it. (Trust us, we’ve tried everything—and eventually succeeded.) From stealth storage secrets to clever clothes-hanging strategies, we have solutions to all of your small-closet woes. 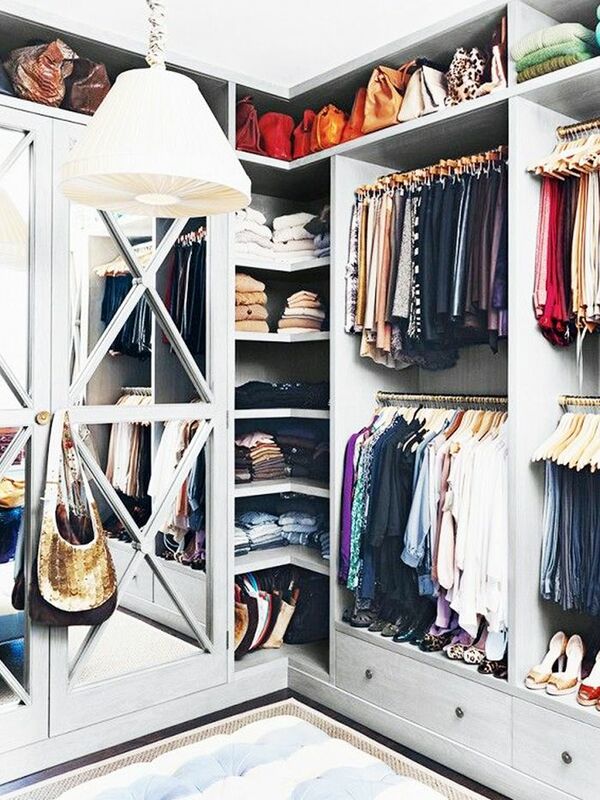 Scroll down to see 12 tried-and-true, closet-maximizing tricks! 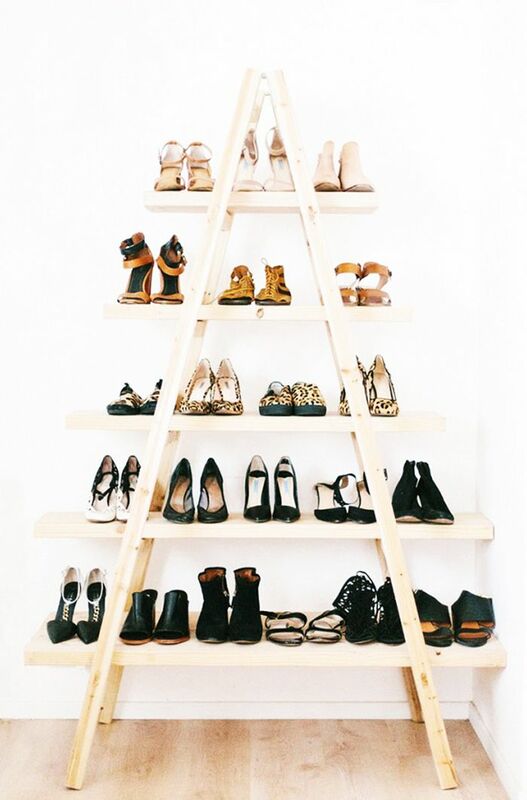 Artfully arranged shoes make for lovely decorations and free up tons of room in your closet for things that are best kept stowed away. So much inspiration here and here. Colour-coding your clothing makes navigating a packed closet infinitely easier. The hard part is keeping it colour-coded, but the extra effort is worth it! Trunks, storage ottomans, and cabinets are great for stashing away accessories and foldable clothing. Just try to keep like items together so that you can keep track of what you have. We’ve said it before and we’ll say it again: Replacing your old hangers with slim hangers saves tons of space and keeps your clothing racks neat and tidy. By grouping short clothing (such as tops and blazers) and long clothing (such as dresses and coats together), you’ll free up a large expanse of space under your short items. The inner closet door is prime accessory storage real estate—try hanging over-the-door storage or installing hooks (just be sure to stagger them to utilise the most space). Invest in flat under-the-bed storage boxes to switch out your seasonal clothing. A must when you have limited closet space! Double the storage? Yes, please! Just be sure to hang the rod under your short hanging items so that everything is visible. A no-brainer, but we’re all guilty. Take out the vacuum cleaner (like this shame-faced editor) and keep the space sartorial. Handbags should always be stored upright to keep their shape and save space. Achieve this best with clear acrylic dividers. Give your closet a thorough cleanout seasonally at the very least. Overwhelmed? Start here. We all have them and we don’t need them taking up precious closet space. Remove them and relish in the extra space. How do you deal with minimal closet space? Do you have any tricks? Tell us in the comments below!